Winter is officially here, even though we have yet to see a big snowfall. But that'll probably come soon enough. And then you'll hear the sound of plows making their way down snow-covered streets. The snow removal process -- especially the salt that's used -- fascinates one of our Bubbler Talk listeners, who asked us to look into it. So we stopped at one of the City of Milwaukee's salt domes in the Department of Public Works yard near 35th and Lincoln. The big structures house the salt supply in wintertime. "This particular dome is 116 feet in diameter, and then we can pile the salt -- I don't know how tall it is -- but you can see to the roof we have quite a bit of space," says DPW Director of Operations Laura Daniels, who pointed to the huge mounds of salt stored in the structure. At the start of the season, conveyor belts pile up the salt as high as possible. But DPW Sanitation Area Manager Mary Bengsch says it's not enough to last through the winter. "Generally when we have a dome that's full, that may take us into January, early February." The city has nine salt domes, spread out in different areas. There's also back-up, which you can see stacked at the southern end of the Hoan Bridge. The city starts the season with more than 20,000 tons of salt, and has a contract with an Ohio firm to double that if needed. "The salt that is at the Port of Milwaukee that you can see from the Hoan Bridge is the salt that comes in from our supplier from Cleveland. In addition, there are a few other suppliers and all of that is the reserve for ourselves and the other communities," Bengsch says. It was quiet at the salt dome at 35th and Lincoln, with not a snowflake in the forecast. But the DPW yard looks a lot different on the busiest snowy days. Bengsch says trucks drive in and out, filling up with salt, spreading it, then going back for more. "There's a gentleman with an end loader that will be stationed here throughout the event, and as the drivers need salt they will pull up and he will fill them up." Just what's loaded into the trucks depends on the conditions. DPW Director of Operations Laura Daniels says the standard white road salt, made of sodium chloride, is the "work horse" that the city primarily uses. But this year, there's a second batch of salt that's been died green. Daniels says it's a better de-icer in very cold weather, so the green salt is reserved for those days. "They treat it with a magnesium chloride and it has an organic material also added to it so it's more sticky." The salt is died green, simply so workers can tell the piles apart. Salt usage also may change based on timing. When the city gets advance warning of a significant snowstorm, workers will make a de-icing run, first. "If we have enough time, you will see those white stripes on the street and particularly bridges and overpasses, which are more susceptible for freezing. That brine allows us more time. It'll melt the snow on contact and it prevents it from bonding to the pavement," Daniels says. With the lack of heavy snow so far this December, you may wonder whether the snow plows will be ready to jump into action the first time there's a winter storm. But the DPW says workers have been standing by since mid-October, and are ready to drive the trucks, if needed. And if there's a late-season storm, never fear. The city keeps plow drivers on the standby schedule until the middle of April. You’re probably familiar with the dozens of huge sculptures of human-looking heads, known as Moai, on Easter Island. What you may not know is that there’s a piece of the Polynesian island right here in Wisconsin -- well, sort of. 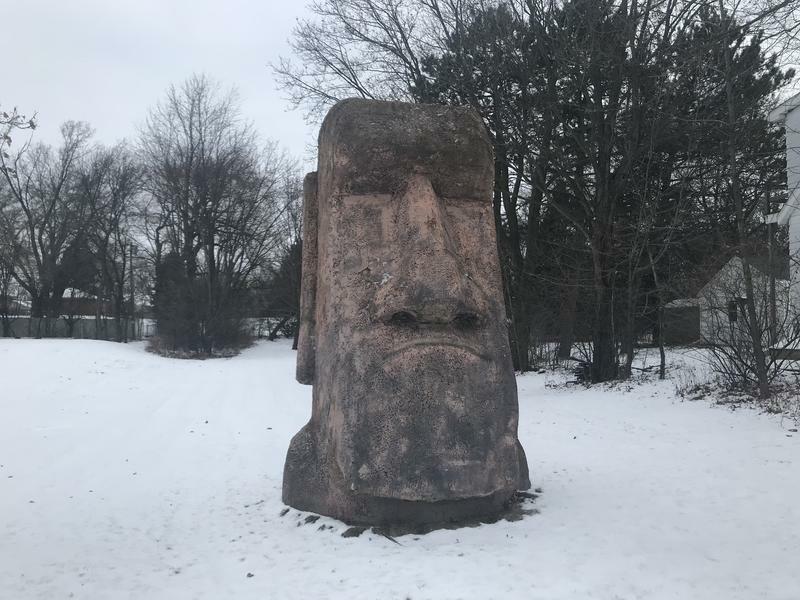 A 14-foot-tall Moai statue stands proudly in a New Berlin neighborhood. 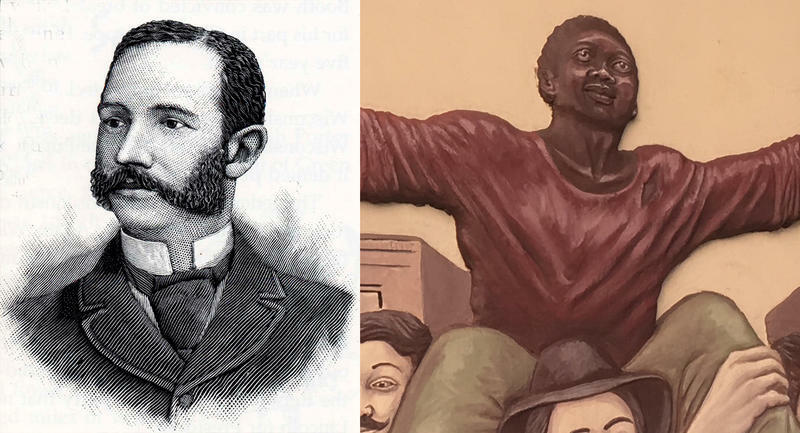 This week’s Bubbler Talk is rooted deep in Wisconsin history... in the story of escaped slave Joshua Glover. Glover fled Missouri for Wisconsin in 1852 and was imprisoned in Milwaukee under the Fugitive Slave Law. You can see parts of his story driving on Fond du Lac towards Milwaukee’s downtown. A large mural spans the walls of the I-43 underpass. It depicts abolitionists storming the jail, helping Glover escape to freedom in Canada. What Happened To Milwaukee's Beloved Old Smoky? 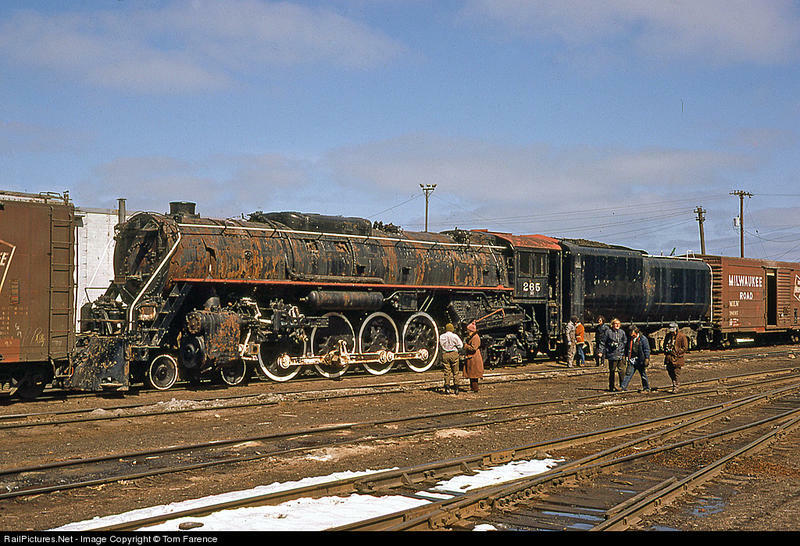 From roughly 1944 until 1954, steam locomotive Number 265 carried load upon load of freight and later folks for the Chicago, Milwaukee, St.Paul & Pacific Railroad. However, the locomotive's career bumped up against progress when steam engines were out and diesel was in. In 1956, the retired locomotive jumped the tracks and the City of Milwaukee replanted it off East Conway Street. And, that's when Number 265 became known as Old Smoky. 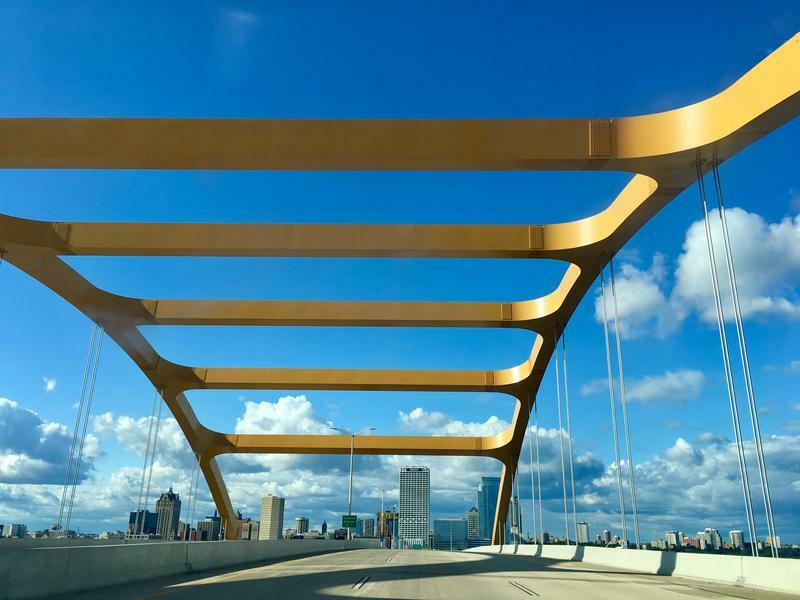 What's That Smell When You Drive Over Milwaukee's Hoan Bridge? Imagine you're driving into downtown Milwaukee over the Hoan Bridge. Lake Michigan glistens to the east, the city's skyline rises before you, and then WHAM! A smell infiltrates your car and overwhelms your senses. Bubbler Talk question asker Terry wanted us to follow that scent: "What's that rotten egg smell, driving over the Hoan Bridge?"